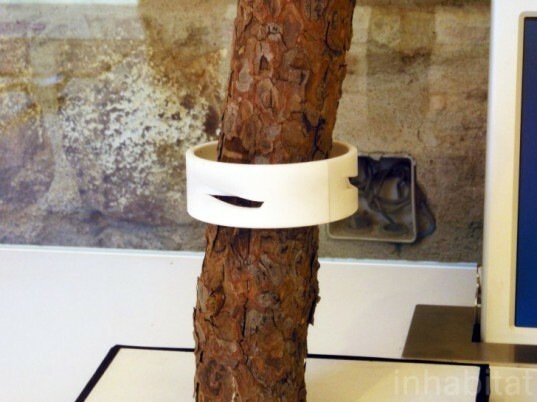 The Best Green Designs From Barcelona's FADfest Design Festival! 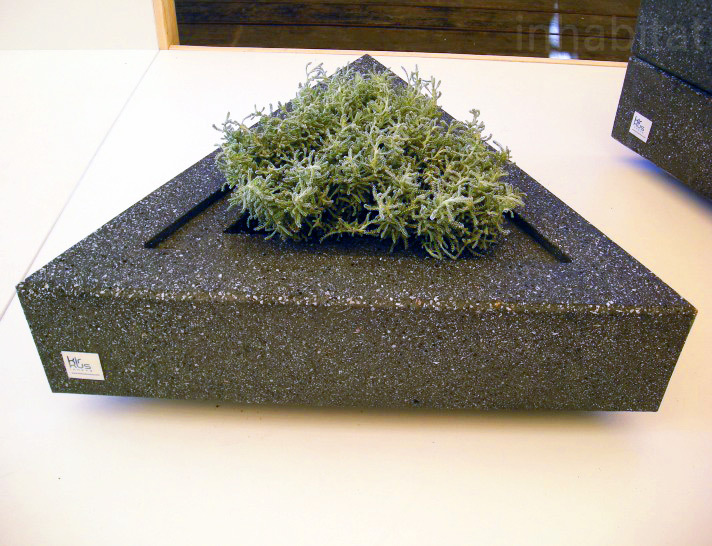 The 2012 Barcelona Design Festival kicked off last week, and Inhabitat was on the scene to bring you the best green designs from this year's shows! Organized by the Spanish association Fostering Arts and Design (FAD), FADFest is held in a beautiful former convent of the Els Angels where some 577 award-winning and shortlisted designs were on display. Read on for our favorite finds - from an eco-friendly cremation memorial to a simple series of modular recycling containers. This wall vegetation system by Nodo17 Architects is constructed from a cage of galvanized sheet metal and geo-textile felt, and it features an incorporated drip irrigation system. The lightweight design becomes a beautiful flourishing facade that helps control solar and thermal radiation. Carla Cava Carbonell‘s Arum ring is designed to contain ashes after cremation. The ring can be placed around a tree and over time it disintegrates, leaving a personalized mark that remains on the tree as a memorial. 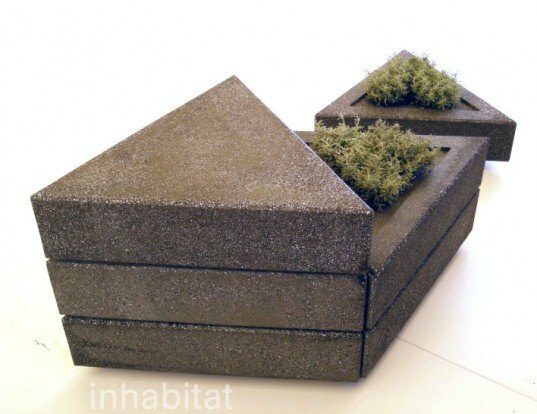 Francesc Rife’s modular planting systems are perfect for perfect for giving urban environments a burst of greenery. Jon Santacoloma Moro’s 5PRV-H is a simple EV charging system that provides infrastructure for the widespread adoption of electric cars. 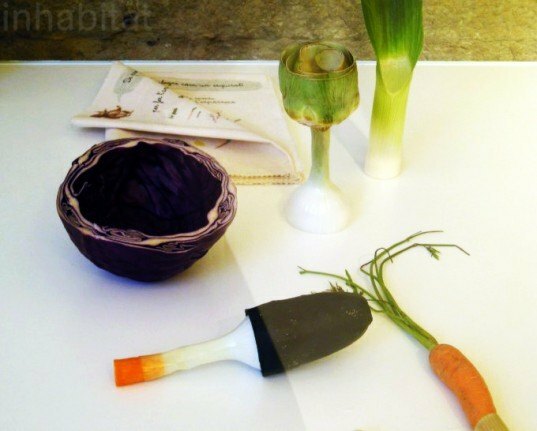 This cool set of Bon Aprofit tableware is made from vegetables and fruit! Designer Carla Balmana created it to encourage children to learn about seasonal produce. Jose F. Lopez-Aguilar’s Plec container is made from flexible materials and is designed to store recycled cooking oil for future use. The container is lightweight yet sturdy enough to resist deformation, and it is designed to be easily cleaned. 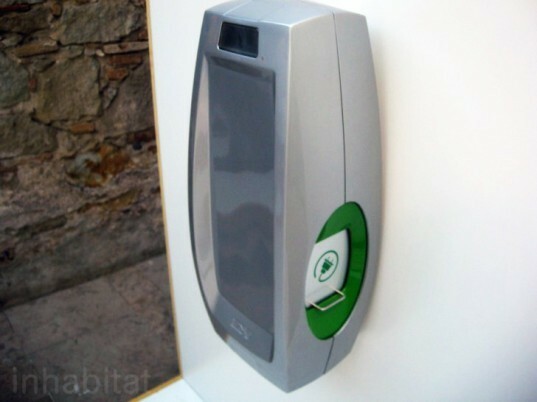 Saboo is a new laundry soap that is designed to cut down on wasted detergent. Sandra Reira’s design can be grated so that the perfect amount of soap is used. Viniculum is a customizable identification system by Marion Frei that is designed to help blind people recognize the contents of tetra bricks and cans. It’s a flexible band made from silicon and plastic and can be adapted to many kinds of products. 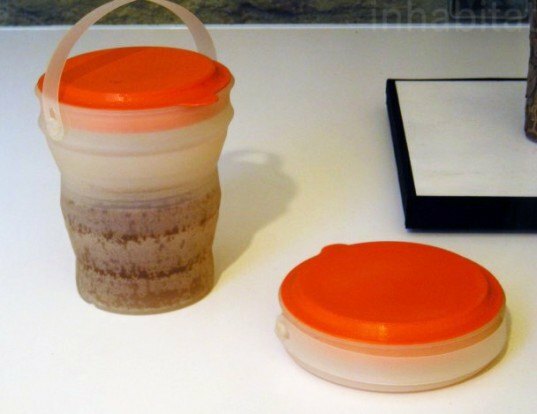 Box is a sleek alternative to the average recycling container! Each of Jordi Blasi’s modular cans slot together, and they feature different languages and colors to aid in the proper disposal of waste. Carla Cava Carbonell's Arum ring is designed to contain ashes after cremation. The ring can be placed around a tree and over time it disintegrates, leaving a personalized mark that remains on the tree as a memorial. 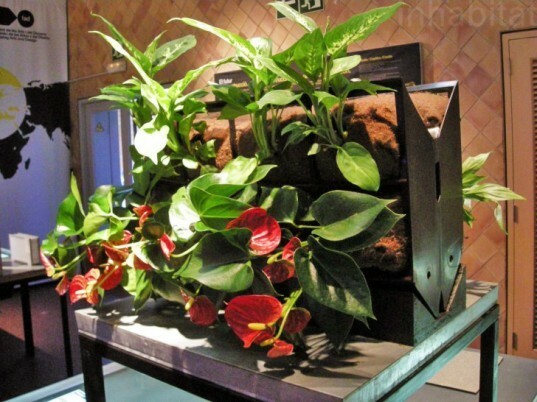 Francesc Rife's modular planting systems are perfect for perfect for giving urban environments a burst of greenery. Jon Santacoloma Moro's 5PRV-H is a simple EV charging system that provides infrastructure for the widespread adoption of electric cars. Jose F. Lopez-Aguilar's Plec container is made from flexible materials and is designed to store recycled cooking oil for future use. The container is lightweight yet sturdy enough to resist deformation, and it is designed to be easily cleaned. Saboo is a new laundry soap that is designed to cut down on wasted detergent. Sandra Reira's design can be grated so that the perfect amount of soap is used. 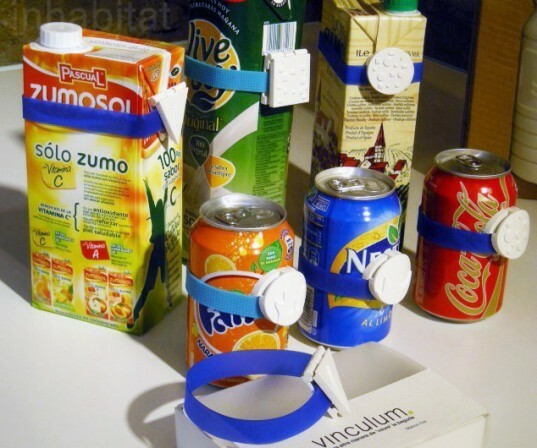 Viniculum is a customizable identification system by Marion Frei that is designed to help blind people recognize the contents of tetra bricks and cans. It's a flexible band made from silicon and plastic and can be adapted to many kinds of products. 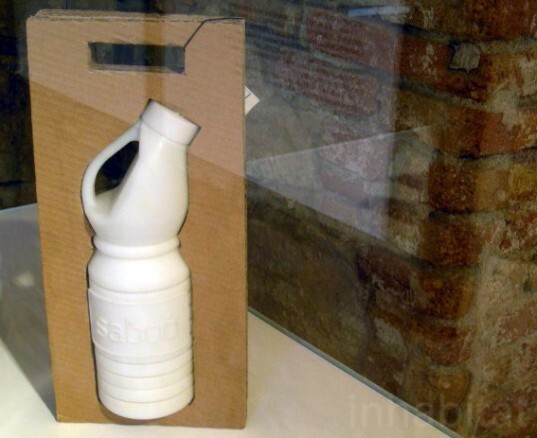 Box is a sleek alternative to the average recycling container! 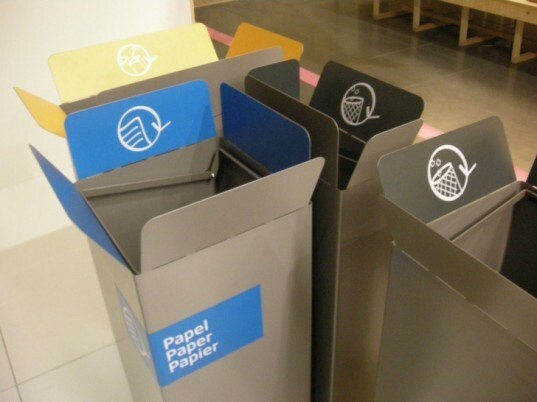 Each of Jordi Blasi's modular cans slot together, and they feature different languages and colors to aid in the proper disposal of waste.